What will you do if you get $100,000? Man - ‘I would buy Electronic gadgets for home and personal use’. Women - ‘I would do shopping, buy lots and lots of clothes, jewellery, etc..etc..’. Boy (21 years) - ‘I would use it for my studies, clothes, and play some casinos’. Sounds really good right? The basic purpose of money is to use it. We all want money to satisfy our wants and need. Money is suppose to be used in some way or other. This brings me to the topic for today that is Realpoints. RPT coin is a crypto currency, in simple terms digital currency. RPT coin can act as an alternative to FIAT currency, which means you can use RPT coin to purchase things that you want or desire. 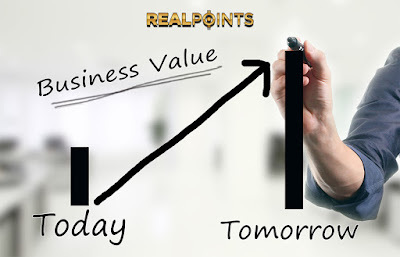 Realpoints focuses on bringing value to the coin and making it usable for everyone. What is the point of having a crypto currency if you cannot use it? Following the bitcoin strategy we want to make our coin usable to all. In todays modern world where crypto currency is known by many, RPT Coin is emerging as the NEXT BIG THING. Now the Question is where can you use this coin? Believe me in near future RPT coin will be used in so many places that you will buy more and more coins to make use of it. Realpoints is coming up with E-merchant site. It’s a unique website through which you can purchase lots of things for you and your loved ones through your RPT coin. Realpoints Crypto Ad money is again a website to promote your Advertisement, and not only so, you also get paid to watch the ads. That’s just not enough, you get a commission of bitcoins as well. Who would not like to try their luck in Casino, Yes Realpoints will be coming up with casino sites so that our members get to show their luck by winning lots and lots more games in there. If I continue, it will be too long. Check out our Plan projection and be a part of these amazing features offered for all RPT users. It’s time now to purchase more and more coins to have lots and lots of fun in future. Say Yes to RealPoints – The Best of its Kind.